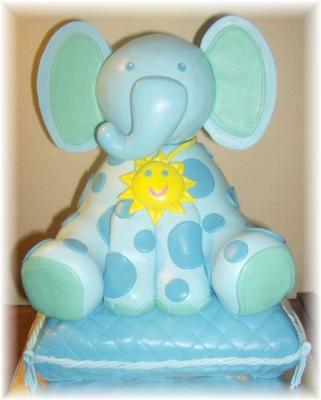 Baby Blue Elephant Cake - Perfect for a baby shower or 1st birthday! 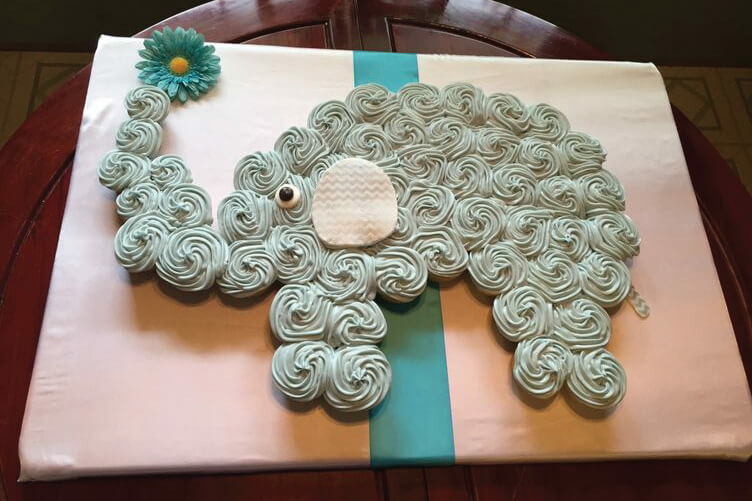 This Baby Blue Elephant Cake Won 1st Place Winner in our Baby Shower Cake Contest! Pillow: single 10" square cake torted and filled 3 times then carved into pillow shape. I started with the pillow. First, I carved it and covered in mmf and decorated it. Then I carved the Wonder Mold down a little (I only needed 30 servings for the whole cake, so I had to make it a little smaller). I iced it and set it aside. I then carved the legs out of the cake baked in the soup cans; I cut the ends where they were to be attached to the body at and angle so that they would sit flush with the body. I attached the legs to the body with butter cream and toothpicks. The body and legs were all sitting on a 10" cake circle. Then I covered the legs and body as one with mmf, and chilled it in the fridge. I made the head out of Rice Krispie Treats; I mixed some white chocolate in with the marshmallows to make it dry harder. I formed a ball and rolled it on the counter pushing hard to really compact it and make it smooth. Then iced it and covered it in mmf, it helped to stick the head on a skewer to ice and cover, that way I didn't have to touch it, just the skewer. After the elephant's body and legs where chilled, I lifted them off the circle and placed them on the pillow, I put straws in the pillow first to support the elephants weight. I hammered a dowel through the entire thing and then sharpened the top of the dowel (I stuck a cupcake holder through the dowel to catch my shavings)and attached the head, gluing it in place with some royal icing. Next I made the arms and all the detail. The ears and trunk I had made the day before with gum paste and mmf, I let them dry hard. I attached both with toothpicks and royal icing. That's about it. Thanks for looking at my Baby Blue Elephant Cake! I loved it. You did an awesome job, way to go on the first prize you earned it. Very cute......you did a great job! 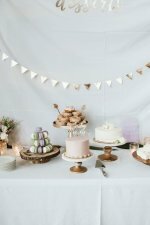 What is marshmallow fondant? (MMF) I have never heard of it. 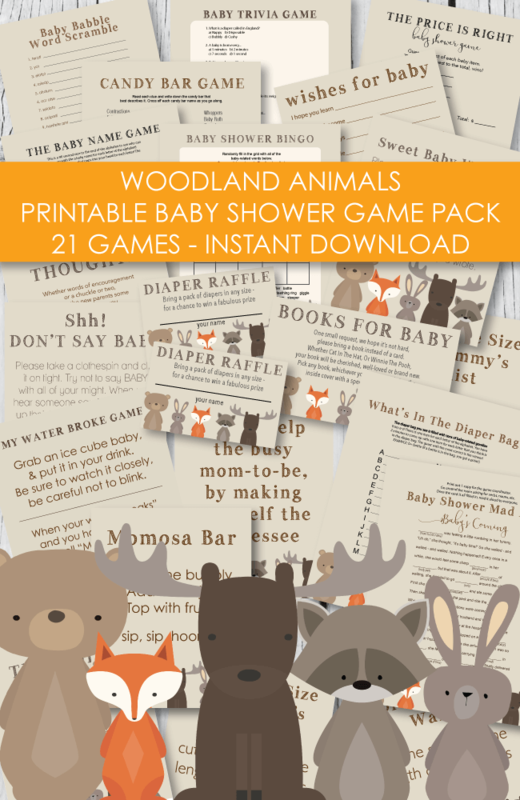 Is it easy to use? This is pure ART! It is so amazing, you have such talent!! I wish the cake for my baby shower was half as nice as this. Congrats on 1st place, you deserve it!! 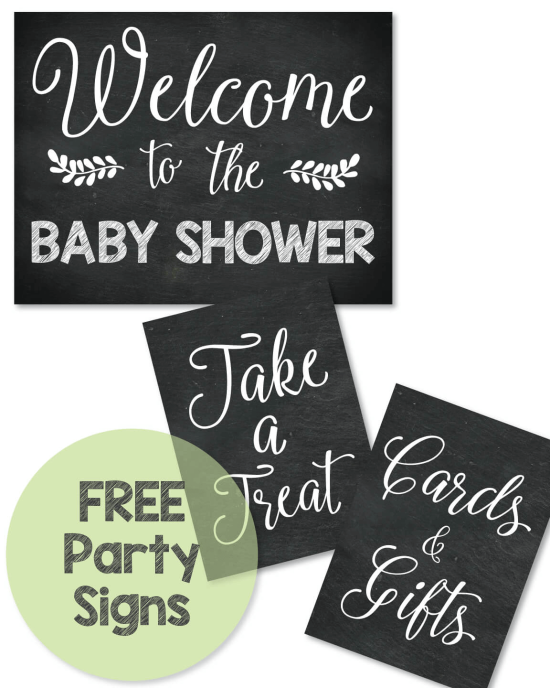 This matches the invites I used for my shower, love it! 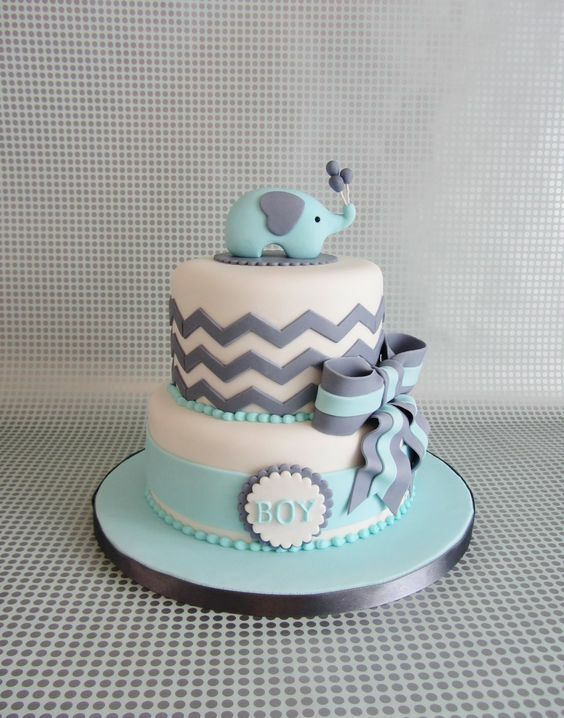 This baby boy elephant cake is pretty darn adorable. If you are short on time or just not into making cakes, this would be a perfect cake to take a picture to you favorite bakery and ask them to replicate it. All you need is a little bit of fondant skills and you're good to go! 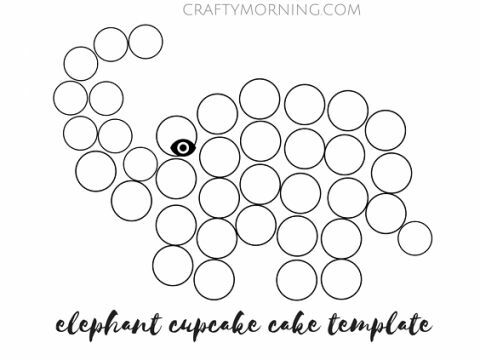 This adorable gray elephant cake is easy to make and even easier to serve! 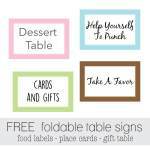 No cutting involved - guests can just grab their favorite one! The template to make a similar version is below. It requires 9 miniature cupcakes and 27 regular cupcakes. 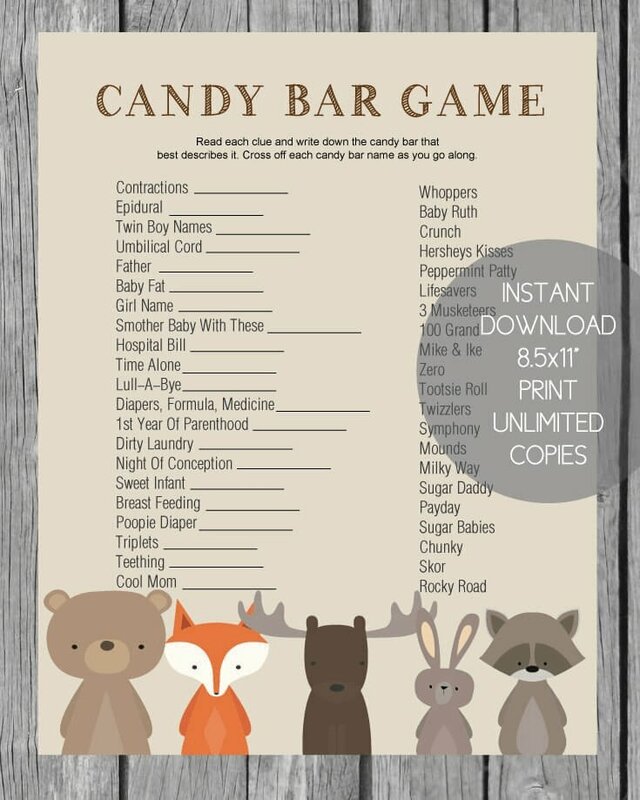 What a creative alternative to a traditional baby shower cake! 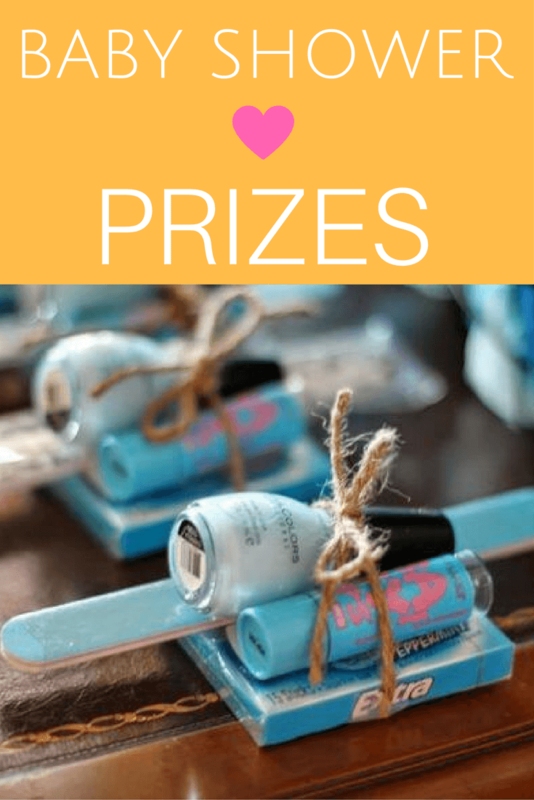 Go all out on the blue elephant baby shower theme and set-up a blue candy bar! 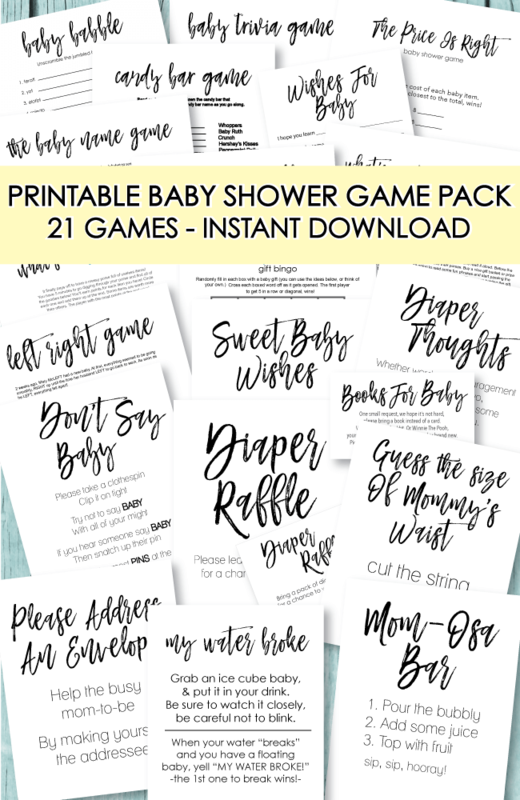 Guests will love it and the best part is ... it makes the super-cute baby shower decorations and it also doubles as baby shower favors! 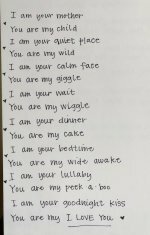 Print onto card stock, cut out and use as baby shower garland, favor tags, cupcake picks, name tags, you name it! 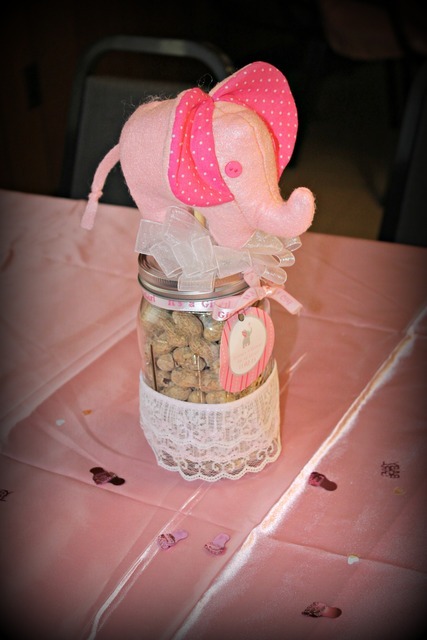 Looking for pink elephant baby shower decorations and ideas? 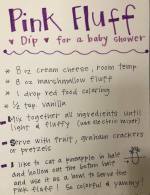 We have cute ideas for hosting a pink elephant shower too! Hop over and take a peek. 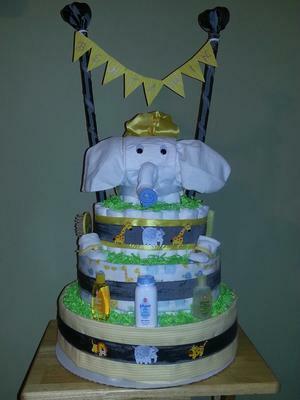 If you are looking for an adorable elephant baby shower centerpiece, all you need is an elephant diaper cake! 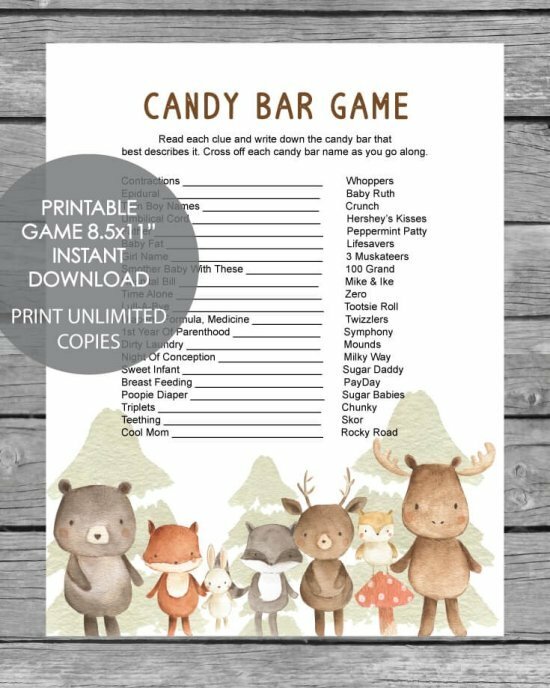 Get free instructions on how to make this cutie, here.